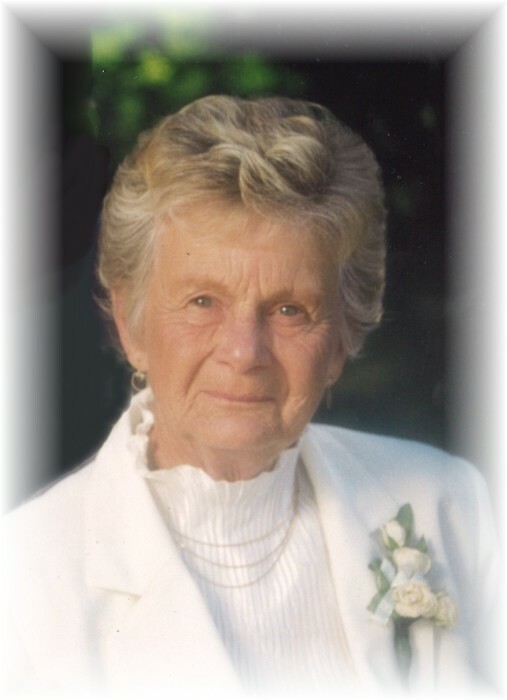 Obituary for Bertha Pearl Brewster | Grays Funeral Chapel LTD.
Mrs. Bertha Brewster of High Level, AB, passed away peacefully at the age of 89 on Monday, August 13, 2018. Bertha will be forever missed by her son Lester (Debbie) Brewster, grandchildren Jill (Kevin) Williamson, Ryan (Sheri) Brewster, Jason Brewster, Clint (Kelli Chalifoux) Brewster, great-grandchildren Tyrah, Taylor, Eden, Sam, Liam, Max, Chloe, sisters Ivy Brook, Grace Erickson, Lillian (Dom) Cromertie, Violet Nolan, brothers Ray (Sylvia) Goodman, Gordon (Jean) Goodman and many numerous nieces, nephews, relatives and friends. Bertha is predeceased by her husband Lyman Brewster, son Daryl Brewster, parents and siblings. Memorial Service will be held at 2:00 p.m. on Saturday, August 25, 2018, at Gray’s Funeral Chapel with Canon Kim Salo officiating. Interment will be held at St. Mary’s Cemetery. Condolences may be sent to the family at www.grays.ca. Funeral arrangements have been entrusted to Gray's Funeral Chapel, (306-922-4729).